Rachel Birnbaum is a Real Estate Broker and has been in the Real Estate business since 1996. She specializes in residential Real Estate in Solano and Contra Costa Counties. Born and raised in Walnut Creek, and a resident of Benicia for 30 years, Rachel’s knowledge of the area and consistent work ethic has resulted in loyal and dedicated clients that continue to refer her services to friends and family. Rachel started Birnbaum Realty in 2004 and has built a reputation of integrity and kindness, earning her respect and trust within the community. A true believer in the spirit of giving to others and a strong ability to listen to the needs of her clients, Rachel has remained ranked one of the top Solano County Agents. In addition to being a mother of three, Rachel finds joy in contributing to local events and community activities. She contributes to the success of others by dedicating the space at her office for local artists to share their work, and, running her self-owned sober living faciity, Stepping Stones. Rachel is energetic, committed and compassionate in all of her endeavors. Her approach with her clients is focused, offering a comfortable, easy-going flow when it comes to buying and selling a home. Rachel’s ability to meet the unique and varying needs of her clientele is more than a goal, it’s her passion. Rachel Birnbaum has been ranked as the number one agent in Benicia and consistently remains listed among the top producing agents in Solano County. Birnbaum Realty prides itself in staying true to our philosophy that quality business can be achieved through integrity and by providing exceptional service. Elizabeth Denton fuses her training as a Certified Classical Feng Shui Consultant in the art of balancing the positive “chi” within an environment and its natural elements with her refined appreciation of Luxury homes and living spaces. Elizabeth found her passion for real estate through the love of photography and use of cutting edge technology creating virtual tours for luxury estates and living in old town Napa Valley as a young adult, both of which led to Elizabeth getting her real estate license. Since then, Elizabeth moved to Benicia and has expanded her knowledge of the Benicia lifestyle along with 25 years of entrepreneurial experience in providing top of the line, luxury service to her clients in the Napa Valley. Not only does Elizabeth bring her passion, strong work ethic and creative vision to dream a life bigger than ever imagined for her clients; Elizabeth is perceptive in listening to her client’s needs and has an innate ability to see the potential in a living space in order to find the precise property to fit her clients’ needs. Whether it is owning and enjoying a little piece of downtown Benicia and the enchanted sunsets on the bay or the fertile valley views of a vineyard estate, Elizabeth will find the perfect property for her buyer. When Elizabeth isn’t working hard for her clients to find the perfect home she can be found enjoying her tranquil Benicia home with her husband, Kevin, their cat Chloe and dog Kodi or exploring the world and discovering other delightful dwellings through her travel photography. Her decision to join Birnbaum Realty is to be part of an innovative team that carries the same standards and integrity and is known for luxury real estate. 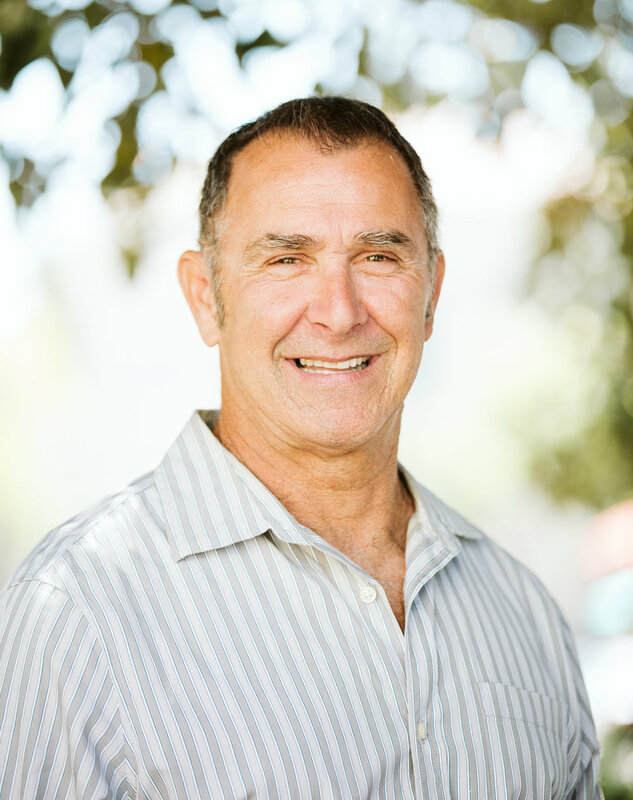 Jeff Foster, a lifelong resident of Benicia and Vallejo, has been involved in real estate since he was 5 years old licking stamps for his mom’s marketing campaigns. Despite his early indoctrination into the world of residential property sales (as an official stamp licker), Jeff started his professional career working first in estimates, and eventually progressed into the role of commercial project management. In 2015 he succumbed to the inevitable, and became a licensed REALTOR. Jeff went on to win the Solano Association of Realtors, “President's Award” for outstanding contributions to a local non-profit, “vallejo together” in his first year as a Realtor. Given the opportunity, Jeff would love to tour properties via motorcycle. Kelly Bleamel is our Transaction Coordinator with 13 years of experience in the real estate business and has been with Birnbaum Realty since 2012. She is a licensed Realtor who is efficient, detail oriented, and easy to work with. Kelly and her family have been long time members of the Benicia community and have been active in supporting local schools and youth sports programs. In her free time, she enjoys photography, hiking, reading, and spending time with her family. Ron was born in Berkeley and grew up in Moraga. He joined the Carpenters Apprenticeship program when he was 20, while working for California Construction. When Ron graduated to a journeyman, he took a job with Woodberry Development and they built many homes in Blackhawk, located in Danville. This was Ron’s greatest training. He became a Foreman for the Company and then Ron chose to get his Contractors License in 1991. In 1992, Ron started Bruno Construction. Bruno Construction prides themselves in quality craftsmanship and building people’s dreams. Ron now lives in Benicia with his wife, Rachel Birnbaum. Arlo Zoerner is our preferred lending partner with 16 years of experience in the mortgage business, and has been a top producing loan agent dating back to 2002. Arlo’s philosophy is to treat every client equally, and to offer the same high-level service to all clients regardless of the transaction size. His goal is to create a long-lasting relationship with each family and customer he has the opportunity to help. Arlo will keep you informed of real estate and financing trends on a regular basis and will always be a phone call away to answer any questions and offer his services to you, your loved ones, friends and associates. You will enjoy knowing him as a professional as well as a friend. As your professional lending source, Arlo has at his disposal the latest in marketing, technology and training to ensure he can meet the needs of all of his clients and referral sources in the community. He specializes in FHA, VA, Jumbo, and Conventional mortgages. When Arlo is not hard at work in his business you will find him enjoying the outdoors, classic cars, professional sports and cooking as a few of his hobbies.